Why Do Some Dental Crowns Look Unnatural? You Get What You Pay For – In dentistry, like so many other aspects of life, quality dental care is reflected in the results you receive. Working with dentists who lack experience in crowns may be inexpensive to your wallet, but costly to your smile and your self-confidence. Materials Used – Depending on your dental needs, you can see widely varying results. On front teeth, porcelain is the material of choice to create a life-like smile, while on back teeth, porcelain fused with metal is usually the best route to take, since this combination is more durable and made for chewing. If a dentist chooses to use incorrect materials for the placement of the restoration, you can end up with a tooth that looks off. 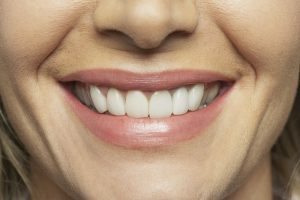 Heavy Handed – If your dentist doesn’t use proper technique when taking impressions for your dental crown, you can face artificial caps that look slightly like marshmallow or popcorn kernels. This is why it’s so important to research and look into the reviews left by patients just like you before committing to expensive and extensive dental work like a crown. Underqualified Dental Technicians – Although there are many dental laboratory technicians who have the ability to craft dental crowns, not all of them have the skill and artistic eye needed to create a natural-looking result. Just like each natural tooth can differ in the shade and shape, so should your restorative treatment. It can take up to 15 different colors of liquid porcelain to make a crown that blends right in with your existing smile, and some technicians don’t have the experience – or the level of care – to make this happen. To prevent unnatural-looking dental crowns that cause your self-confidence to take a hit, be sure to look for reviews online and to ask your dentist to see their smile gallery to take a real look at the results they produce. And, if you ever feel pressured by your oral health professional, get a second opinion – this is a sure sign that you could be in the hands of someone who won’t be able to produce the great looking results you deserve. If you have questions about dental crowns or restoring your smile, give us a call or schedule an appointment with Dr. Gary Simmons today!